awesome time at the banana hostel ... The staff is really great and the atmosphere is awesome at his hostel. 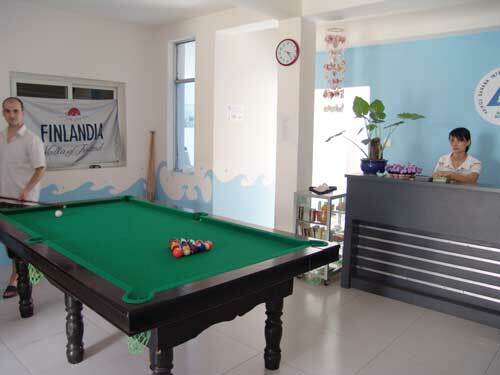 I can only recommend if you go to Haikou then stay at the Banana Hostel. 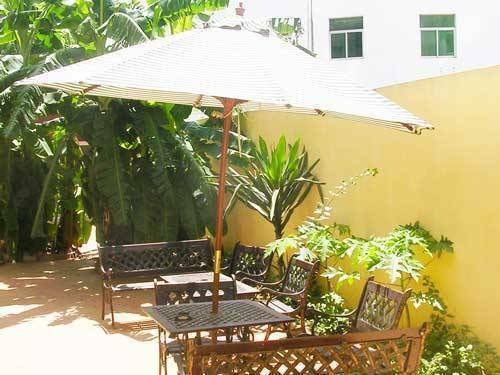 Haikou Banana Youth Hostel is the first ever International Youth Hostel (IYH) opened by a foreigner in China and the only place in Haikou that provides all the facilities you would expect from a Youth Hostel. 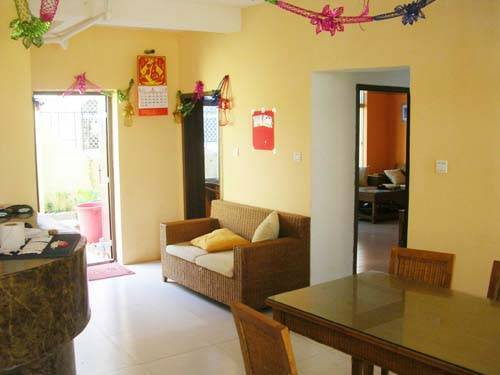 Haikou Banana Youth Hostel is located on Haidian Island, in the north of Haikou city, Hainan Island. The tropical climate means that Haikou is often at its most bustling in the evening. On an evening on Haidian Island the streets fill up with tropical fruit stalls, outdoor bars, and many small outdoor restaurants selling various local dishes from BBQed seafood to Chao Bing (a favorite snack for a warm evening which consists of the fruit of your choice blended and frozen before your eyes with a special device). There are also many modern outdoor swimming pools and hot. The rest of Haikou City offers many interesting old Hutongs, small temples, fishing ports, beaches, and shopping streets to explore. 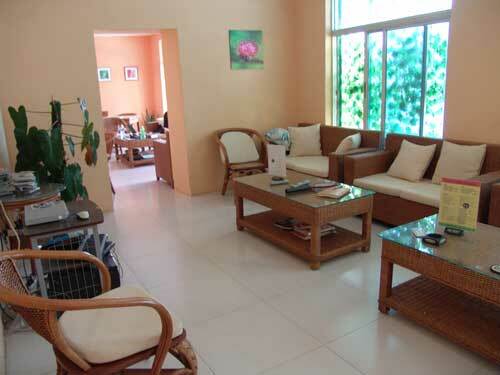 Haikou is the capital of Hainan Island and is an ideal place to begin any trip within Hainan. We are located in the north of Haikou city, just off Renmin Road. On the corner of the Renmin Road and Haidian 3 Road junction is a KFC (Kentucy Fried Chicken). Continue about 50 metres north up Renmin Road past KFC. On the right-hand side of Renmin Road (the opposite side of the road to KFC) you will see a tall yellow building called Peace City. Take the path that leads behind the yellow building. We are the 2nd villa on the left. You can get a Taxi from the airport. Tip: If you exit the airport from the upstairs departures entrance you can get a Taxi for around 35 RMB. Alternatively, take the 21 bus from the airport to Renmin DaDao. Get off just after KFC and the Hostel is on the opposite side of the road. The train station is in the far west of the city. A taxi to the hostel will cost around 40 RMB. Or, take the 37 bus to ZhongLou (Haikou Bell Tower), then change to 7 bus. Get off at HaiDian San Dong Lu (East 3rd Street) near KFC. A taxi will cost around 15 RMB. Otherwise, catch the 7 bus, get off at HaiDian San Dong Lu (East 3rd Street) near KFC.